A lot of us were raised to take our vitamins. Whether those were shaped like Flintstones characters or tasted like deliciously tart orange juice (we called them "vitamin C candies"), our parents made sure we got the full range of vitamins and nutrients we might have been missing in our childhood diets. Many of us have carried this habit into adulthood, but are those daily supplement pills actually doing anything? According to new research published in the Journal of the American College of Cardiology, they don't have any consistent health benefits. On the flip side, the study found that there were no consistent harms — so unless you're loading up on sugar-heavy gummy vitamins, you're probably no worse off, either. More: Are the Health Benefits of Gummy Vitamins Worth the Sugar? 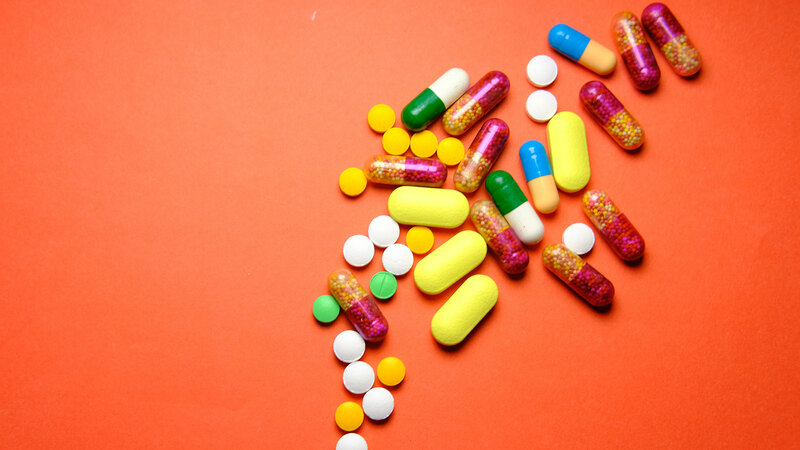 By conducting a systematic review of existing data and single randomized control trials published in English from January 2012 to October 2017, the researchers found that the most commonly taken supplements — multivitamins, vitamin D, calcium and vitamin C — demonstrated no advantage or added risk in the prevention of cardiovascular disease, heart attack, stroke or premature death. Typically, people take vitamin supplements to make up for deficiencies of various vitamins and minerals in their day-to-day diets or — in the case of vitamin C — to boost their immune system. "We were surprised to find so few positive effects of the most common supplements that people consume," Dr. David Jenkins, the study's lead author, said in a statement. "Our review found that if you want to use multivitamins, vitamin D, calcium or vitamin C, it does no harm — but there is no apparent advantage either." But some supplements do have proven benefits, including folic acid alone and B vitamins with folic acid, which the study found might reduce cardiovascular disease and stroke. On the other hand, there was some evidence that niacin and antioxidants may be responsible for aslightly increased risk of death from any cause. "These findings suggest that people should be conscious of the supplements they're taking and ensure they're applicable to the specific vitamin or mineral deficiencies they have been advised of by their healthcare provider," Jenkins said in the statement. Ultimately, though, the study confirmed what we already knew: The best way to obtain these vitamins and nutrients is through a balanced diet. "In the absence of significant positive data — apart from folic acid's potential reduction in the risk of stroke and heart disease — it's most beneficial to rely on a healthy diet to get your fill of vitamins and minerals," Jenkins said in the statement. "So far, no research on supplements has shown us anything better than healthy servings of less processed plant foods including vegetables, fruits and nuts."